Summit Insights Group, a fundamentals-driven technology research firm, joined the recently formed Research Alliance (www.theresearchalliance.com) sponsored by the sales agency previously known as Financial Research Solutions. Note: Integrity Research is one of the firms included in the Research Alliance. Summit Insights Group LLC was founded in 2018, incorporating analysts from a previous technology boutique, Summit Redstone Partners. Srini Nandury, the lead analyst for covering the IT hardware and software segments, had founded Summit Research Partners in 2012 before merging with Redstone Technology Research in 2016. Prior to going independent, he was an analyst at Bank of America Merrill Lynch, Cross Research and Bear Stearns. Software analyst Jonathan Kees has worked with Nandury since 2014 after joining from CapStone Investments. Semiconductor analyst KinNgai Chan joined in 2017 from Rosenblatt Securities. The firm covers 60 stocks in the following TMT segments: Enterprise and application software, Semiconductor capital equipment, Semiconductors, IT Hardware and Internet. Before joining the Research Alliance, Summit Insights Group had its own internal sales staff. The Research Alliance, which has six sales and marketing staff dedicated to selling boutique research, is headed by Will Richards, a former BCA salesperson who set up his own sales agency in 2006. Other research firms participating in the Research Alliance include Foveal LLP (Pharmaceuticals), Insight Investment Research (Global Infrastructure), ERA Forest Products Research (Forest Products), Hillside Partners (Technology), and Integrity Research (Custom Research Sourcing). Selling boutique research is a tough proposition which is why there aren’t many sales agents willing to take on the challenge. Besides Research Alliance, there is a limited universe of boutique business development agents: London-based Independent Research Forum, New York-based Spartan Institutional Research, Hong Kong-based IND-X Advisors (recently acquired by Aletheia) and a handful of independent salespeople. 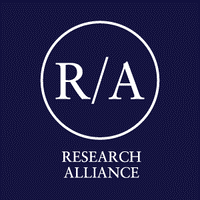 Although the Research Alliance is pushing specific research firms (including us), it is also promoting the virtues of independent research generally — specialization in a particular niche, idea generation, limited research distribution, willingness to say sell, unbiased.